A new book by Katie McGarry?? YES, please!! I never pass up on a book by Katie, and this one sounds really awesome. AND, it's due to release on my birthday next year. Best present EVER!! I can't wait to check it out. 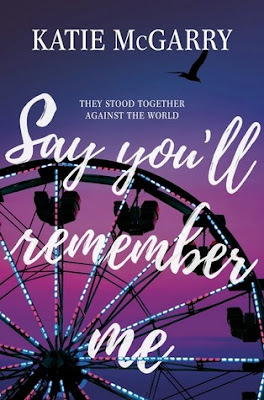 I think I squealed when I first saw that Katie McG had a new book coming out. She is another author, that if she writes it, I will read it. Great pick! Nice! Doesn't sound like my kind of read but still hope you will positively love it once you read it! I love the look of this one! The cover's so beautiful and whimsical, and the story sounds awesome. Thanks for sharing! Great pick! I saw this on another WoW post this morning and already added it to my TBR list. I hope you enjoy it!! This is still a few months away, but I can't wait to read it. I hope we both enjoy it.